Set of 4 Black Side Moldings for the 2005-2006 or 2007-2010 Grand Cherokee. Same as OEM Laredo Model. Please select model year above. 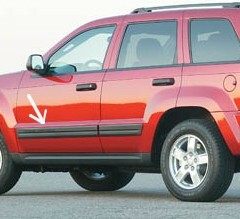 2007-2010 is a skinnier molding similar to the chrome side molding width on the limited model. 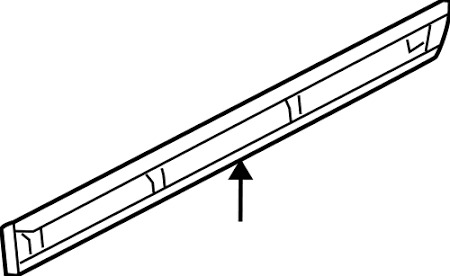 2005-2006 is the molding as pictured which is wider. Both molding styles are interchangeable between model years. These went on way easier than I was anticipating. The removal of the old chrome strips was very easy, just a flat bladed tool is all that was needed, the old chrome side strips were held on by clips, there was no two-sided tape to remove. The new black side moldings snapped right on. The whole process for the 4 strips took less than 20 minutes.